This legendary British reggae and roots rocker group helped to invigorate the dancehall scene in the 1970s and are still a thoroughly viable and exciting outfit to this day. Hailing from the Handsworth area of Birmingham, which like West London and St. Paul’s in Bristol, is home to a vibrant Afro-Caribbean culture, Steel Pulse came to international prominence with the epic Handsworth Revolution and helped lay the groundwork for areas of punk and Two Tone as well as influencing chart acts like UB40. They were readily accepted on the punk and new wave scene and were always canny enough to appeal to audiences beyond any narrow niche. Important too is their work on behalf of the Rock Against Racism movement which gave them extra media exposure and also aligned them with their Rastafarian comrades the world over. 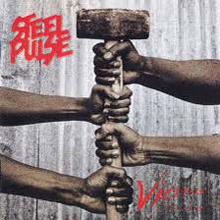 Erudite and musically accomplished Steel Pulse has long been a byword for classy reggae, often enlivened with synthesised elements, brass and evocative female backing singing. They won the Grammy for Babylon the Bandit (1986) and have headlined at some of the major reggae festivals, Reggae Sunsplash USA, the Jamaican equivalent, Japan Splash amongst many others. They are the first reggae band to appear on Tonight, the American television show. Deeply eclectic, they have covered songs by The Grateful Dead, Bob Dylan and The Police but their original output, including a string of memorable singles is what sets them apart. Alphonso Martin (vocals, percussion) and Mykaell Riley (vocals). The album was preceded by the single ‘Ku Klux Klan’ and produced by reggae stalwart Karl Pitterson (Bob Marley, Peter Tosh and Bunny Wailer). The album was also a word of mouth success and in summer of 1978 Steel Pulse appeared at the Rock Against Racism concert in London’s Victoria Park. Though the headliners were The Clash and other acts included X-Ray Spex and Tom Robinson, the Pulse’s joyous sound lingers in the memory from that sunny day. Tribute to the Martyrs features stand out cuts like ‘Babylon Makes the Rules’ and ‘Jah Pickney –R.A.R.’ while Caught You brings them into the 1980s on a high and makes an invaluable counterpart, given its combination of political anthems and dance grooves. They come back into our orbit on the magnificent Babylon the Bandit where it’s easy to detect a growing spirituality in Hinds songwriting. Certainly the hard hitting ‘Not King James Version’ (a cool look at how African people were written out of Bible history) and ‘Don’t Be Afraid’ are amongst his best work. We really love State of Emergency. For all its crossover appeal and lightness of touch this is a much better disc than it was given credit for in 1988 and enabled the band to make inroads into the American market. Sensing that their British fans were hungering for the old school militancy Steel Pulse obliged with Victims their most expansive set to date – a double album in the old money. Recording with Paul Horton in their hometown Dub Factory the Pulse predicted future trends on ‘Gang Warfare’ and the hip hop flavoured ‘Dudes’ and ‘Free the Land’. On a roll again they now moved over to Ocho Rios in Jamaica and cut the excellent self-produced Vex, another lengthy masterclass in dub and roots. This is highly recommended since it shows Hinds and company aging up and embracing ever more sophisticated levels of technology. As usual we have a generous selection of compilations and anthologies. 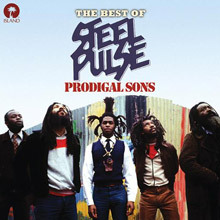 Reggae Greats: Steel Pulse is a very nifty introduction as is Prodigal Sons: The Best of Steel Pulse. For a lengthier overview with excellent notes and twelve inch single mix rarities try Sound System – The Island Anthology (a favourite of ours and also of the Pulse guys) and bear in mind that Handsworth Revolution/State of Emergency and the fine Rastafari Centennial also appear as triple set. 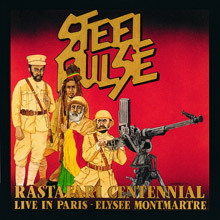 For bonus value we also have Reggae Greats: Toots and the Maytals/Third World/Steel Pulse and we shouldn’t forget to offer you a chance to hear how great they were as a live act on Rastafari Centennial: Live in Paris at Elysee Montmartre (1992), a concert dedicated to Haiie Selassie that helped establish this terrific band in France and simply one of the great and most vital live reggae discs available. Men of Steel, they still set the pulse racing. The Handsworth Revolution continues. Steel Pulse's debut album set the band decisively apart from its British colleagues. This was not, by any stretch of the imagination, either pop-reggae or lovers rock. Nor was it the kind of dreamy Rasta reggae or art-for-art's sake dub that was popular at the time. Though the subtly jazzy swing that would later become explicit was already informing Steel Pulse's groove, the band's first album seemed not at all interested in generating anything like a party atmosphere. Handsworth Revolution is about politics first and religion second, with a quick nod to the dance ("Sound System") and another to the herb ("Macka Splaff") and not a single love lyric to be found anywhere. This gives the music a certain intellectual urgency, and the band's instrumental virtuosity is impressive given its youth and relatively inexperience. But it also makes for a rather dry listening experience; other than "Ku Klux Klan" and the gorgeous "Prodigal Son," there's not much to hold onto here, melodically speaking -- and even those two songs sound dry in comparison to the band's subsequent work. Still, there's a solidity to these tunes, a sheer tensile strength, that makes them compelling in their own Spartan way. Reggae may have been the sound of Jamaica, but the large West Indian population in England helped make the U.K. the second home for the music, and in the '70s a number of first-class British reggae bands began making themselves heard. 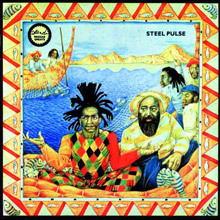 Among the most popular and critically acclaimed British reggae bands was Steel Pulse, whose music was lean, sinewy roots reggae that commanded a powerful groove, matched with lyrics that dealt with political and social issues with a streetwise intelligence and Rasta consciousness. 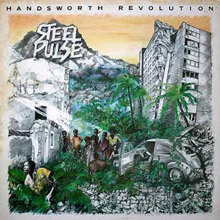 Fans and critics alike regard Steel Pulse's first three albums for Island/Mango as some of their very best recorded work, and Reggae Greats brings together ten songs from 1978's Handsworth Revolution, 1979's Tribute to the Martyrs, and 1980's Reggae Fever (Caught You). 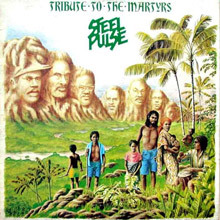 This set features some of the group's best-known songs, among them "Ku Klux Klan," "Babylon Makes the Rules," and "Reggae Fever," and while this is hardly an in-depth look at Steel Pulse's formative years, these tracks make an excellent case for the strength of this band and the passion and force of David Hinds' vocals. 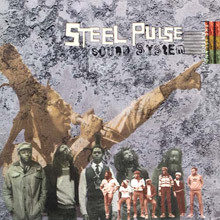 Serious fans will want to seek out the excellent two-disc collection Sound System: The Island Anthology, or at least the 17-song single-disc anthology Island Reggae Classics: Steel Pulse, but Reggae Greats is an effective snapshot of Steel Pulse's vital early music. Next to Jamaica, the strongest market for reggae has been England, which has given us greats ranging from Aswad to Linton Kwesi Johnson to Steel Pulse. This very popular band has recorded its share of gems over the years, but all too often...tries to appeal to the pop and urban contemporary markets. True to form, Victims is very much a mixed bag. Some of the material -- including "Free the Land," the humorous yet pointed "Taxi Driver" and the hard-hitting "Gang Warfare" -- is strong. But slicker, more urban contempo-ish songs like "Soul of My Soul" and "Can't Get You (Out of My System)" are a bit more generic. Sound System: The Island Anthology compiles the first three Steel Pulse albums, all recorded for the Mango label, were easily the best they ever made. This two-disc set compiles the entirety of those three albums (Handsworth Revolution, Tribute to the Martyrs and Caught You, the last of which was titled Reggae Fever for U.S. release) along with a handful of B-sides and live versions. The familiar pleasures are all here -- the dry, heavy skank of "Bun Dem" and "Soldiers," the strangely dreamy outrage of "Tribute to the Martyrs," the lighter grooves that buoy "Shining" and "Rumours (Not True)." The extra tracks aren't much to write home about; frankly, the two B-sides and two live tracks sound like filler. But the 12" version of the majestic "Babylon Makes the Rules" feel like divine revelation, as does the dubwise extension of "Heart of Stone" that was hinted at so tantalizingly in its original album version. For all of his jazzy excesses, David Hinds remains one of the finest reggae singers around, and there has never been a rhythm section to match this one for brick-wall solidity. An essential collection of top-flight British reggae. This live album contains some of the bands greatest hits, including "Stepping Out," "Chant a Psalm," and "Roller Skates." Also, songs which got a lukewarm reception from critics and fans off of State of Emergency and Victims hold up rather well. Even with the slight downsizing in their popularity it is obvious from this album that the band could still put on an energetic live performance. The stunning ten-minute extended version of "Rally Round" is the ultimate proof of this. An essential 17 track Best Of compilation released in 2012.